A thank you goes out to artist Stephie Stone for autographing a copy of her picture of Anubis for The Werewolf Cafe. 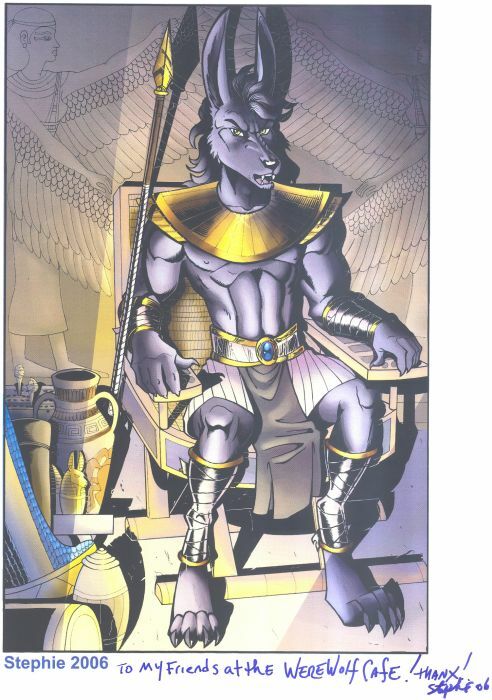 This picture is part of a promotion for the new upcoming comic book titled "Anubis: Guardian of the Tomb", that Stepie has been working on. 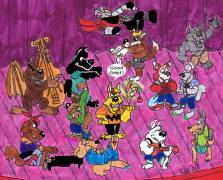 The comic book will be produced by Cadre Corner Studios. Stephie has a website at http://cybercatgraphics.com/ and there is a link at http://lady-cybercat.deviantart.com/ to view some of her artwork. Thank you so much Stephie! 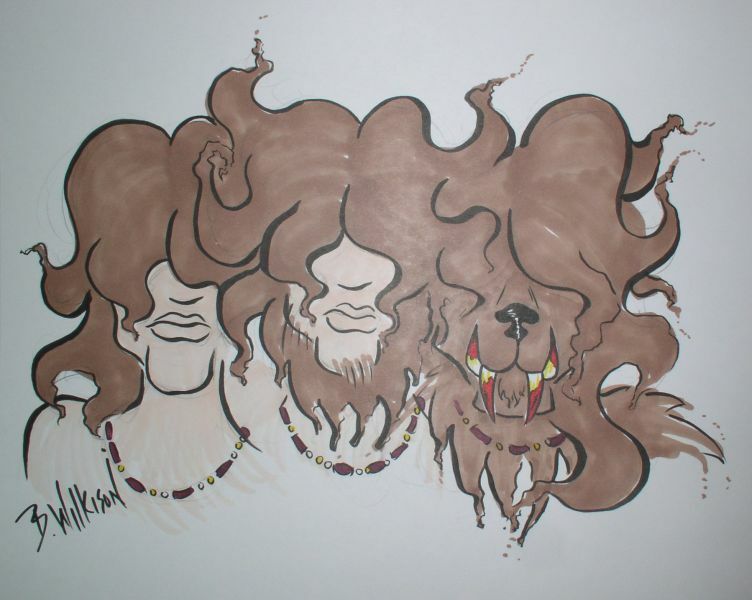 Yet another thank you goes out to artist Bill Wilkison for creating his awesome werewolf transformation artwork for The Werewolf Cafe. 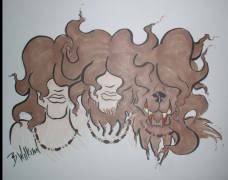 This full moon we are featuring the third art piece which is of a 60's rocker to werewolf transformation. 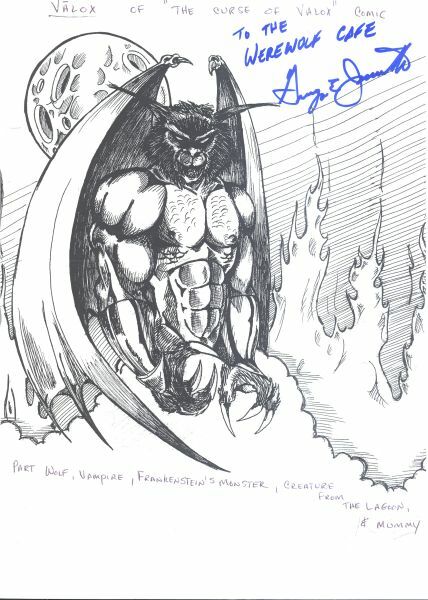 A big thank you goes out to Mike Morales for autographing a copy of his artwork for an upcoming comic book titled "The Curse of Valox". 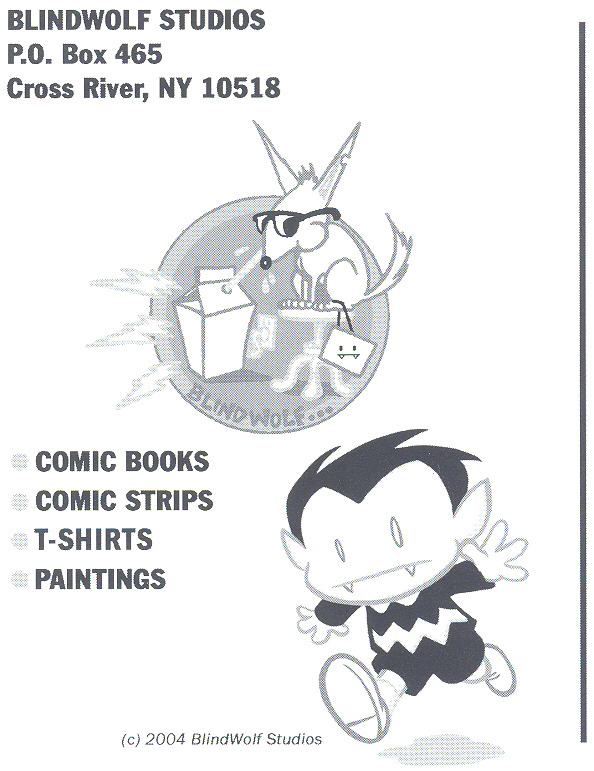 The character,Valox, is part wolf, part vampire, part Frankenstein's monster, part creature from the Black Lagoon and part mummy (WOW!, what a combination!). 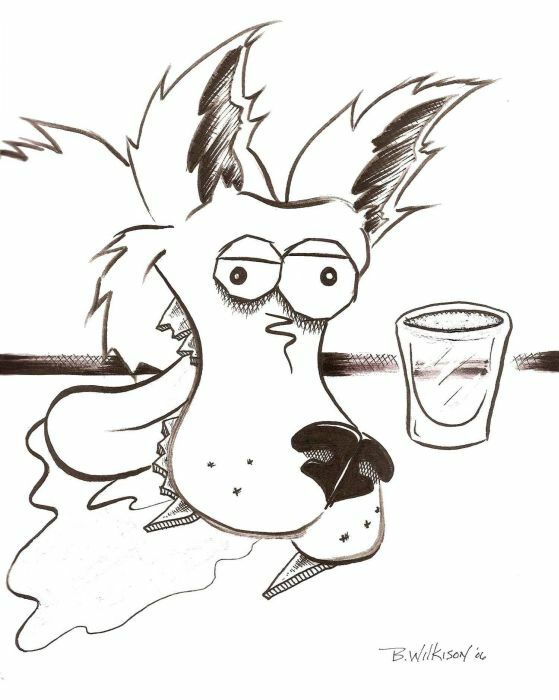 I was just thinking of you guys and this wolf came out...it wasn't until I started inking it when all of a sudden I realized why he looked so funny. Raising the bar, as it were! 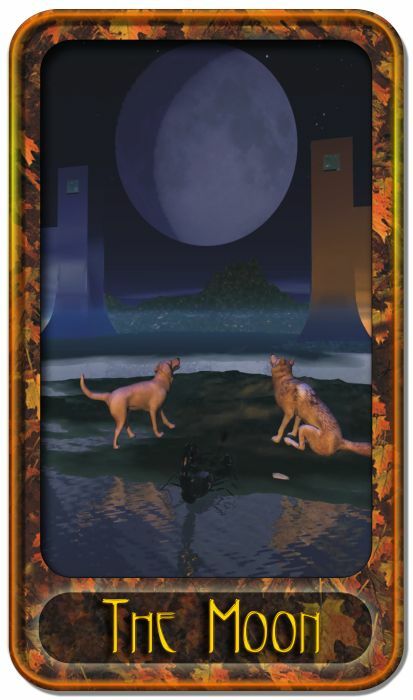 Thanks to our friends at Strange Fun Comics for sending in this tarot card called "The Moon", created by artist Tom Wachowski. 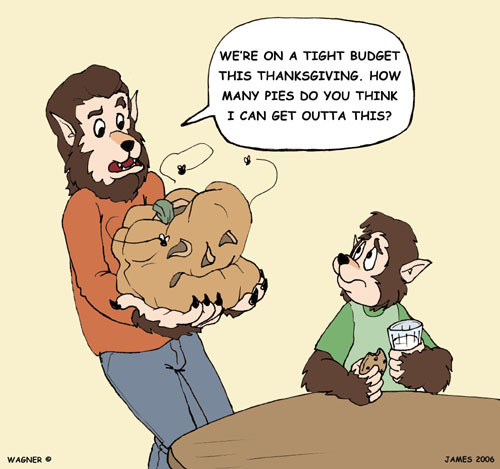 To find out more about Stange Fun Comics visit their website at strangefuncomics.com. 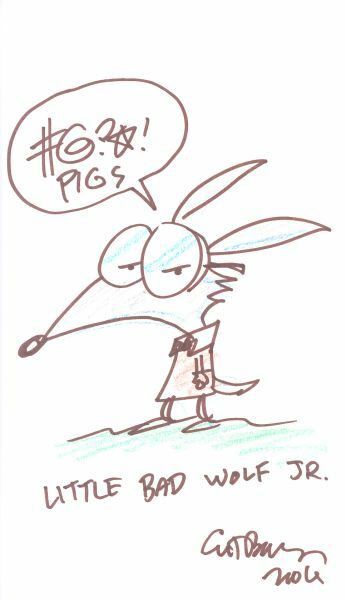 A big thank you goes out to artist (and forum member) Art Baltazar for this picture he drew of a new character named "Little Bad Wolf Junior." 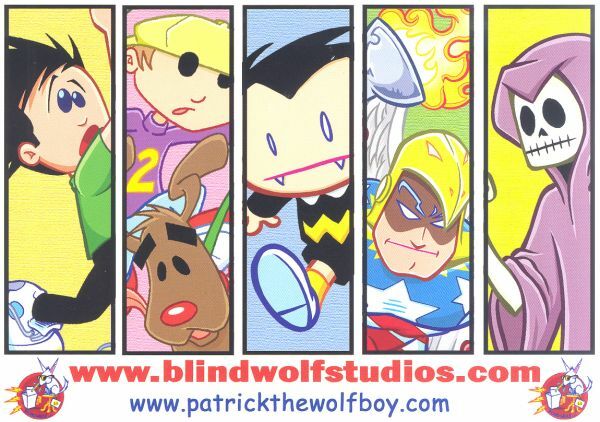 Art is the artist who works on the popular werewolf related comic book titled "Patrick the Wolf Boy" so we wanted to let you know that Art has a website at www.blindwolfstudios.com and at www.patrickthewolfboy.com. Thank you so much Art! 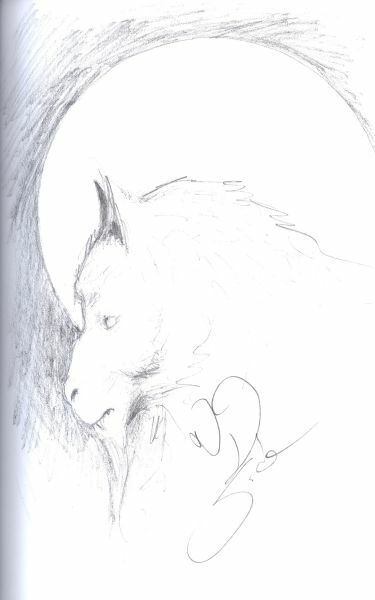 Just wanted to show you all this great werewolf sketch that artist Nigel Sade (www.NigelSade.com) drew for me at a recent comic convention, it totally rocks! Nigel is always fun to to talk to and is way cool, he is always dressed like a "pirate" at the major comic book conventions (so you may have seen him at conventions). 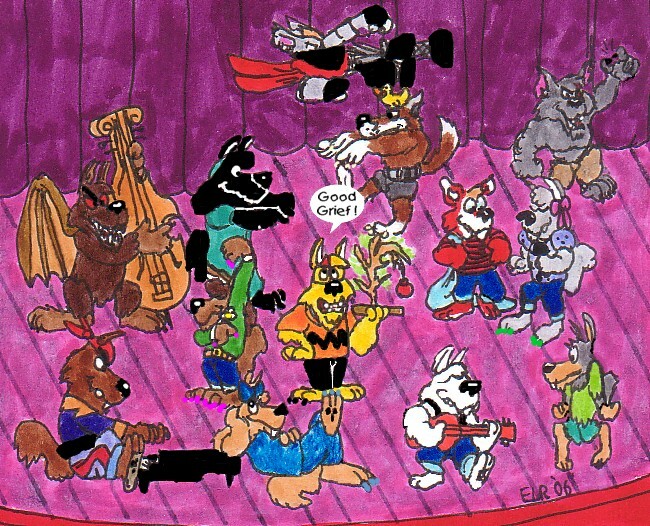 Nigel is also a forum member on the site here. Thank you Nigel, you rock Dude! Here's a transformation sequence I finished recently, with some painstaking work on the detail.